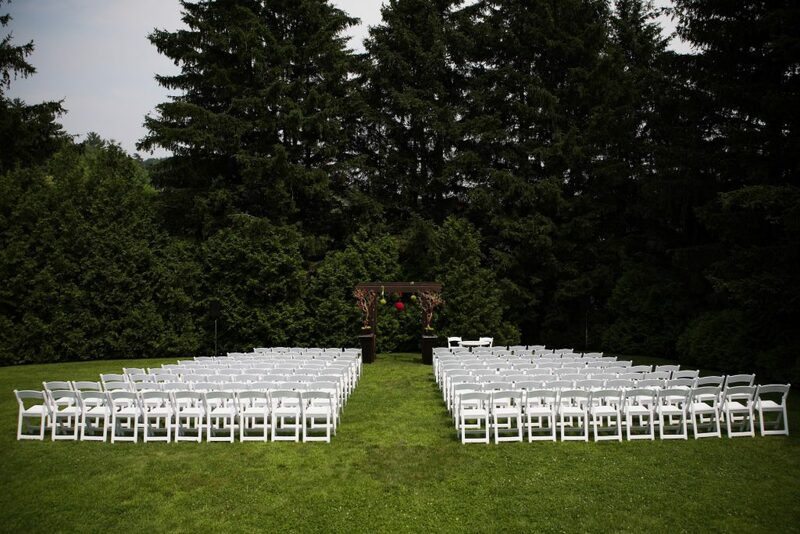 The Miller Lash House is the perfect venue for your outdoor/garden ceremony needs. We offer two picturesque locations where couples may exchange vows. Our RiverRock Waterfall site provides the perfect setting for sharing your vows with the trickling of waterfalls surrounding you under a black wrought iron arbor. You’ll experience a grand entrance down the staircase as your guests admire you from the lawn. This site allows you to seat your guests in a traditional theatre style arrangement or you may choose to have your guests encircling you as you say “I do”. The Evergreen Arbor Site, originally enjoyed as the front yard of the Miller Lash family, is a secluded garden surrounded by evergreens creating an intimate area for sharing your special moment with your loved ones. The wood arbor is the perfect complement to the natural beauty of the property. We offer exclusive use of our venue to all our clients.